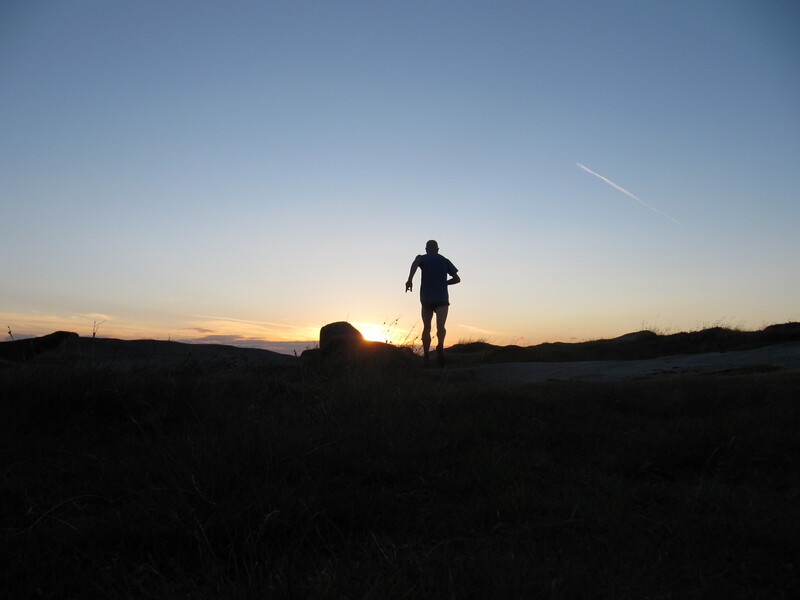 The sun sets early now on my Peak District running adventures. The long evenings and long shadows a fading memory, the warm evenings replaced by a noticeable chill in the air. All is not lost; an evening run over Stanage Edge is rewarded by the Grouse’s cackling conversation, the calls and replies carrying far in the still air. There is no breeze, the puddles between the gritstone boulders mirror the fading light, subtle pink hues and shades of stainless grey in a high sky. The light fades quickly and I slow the pace, cautiously picking my way along the uneven path. It will soon be time for head torch running and although I am carrying one I resist using it, straining to pick out the path in the gloom, reluctant to accept that the summer is over. 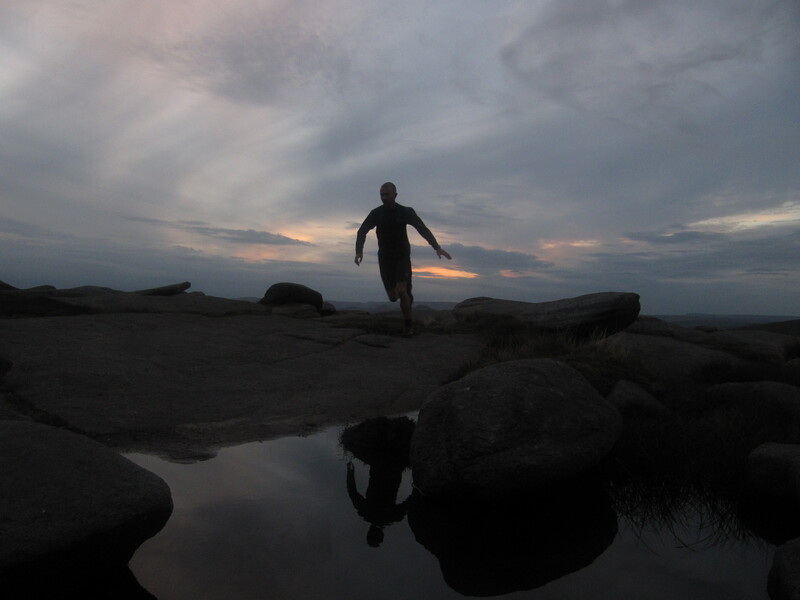 Posted in Blog, Fell running, Peak District and tagged night running, Peak District, Stanage, sunset run.